Only if patient fulfills all 5 criteria – then forego imaging. Otherwise, proceed with imaging. Hoffman, Jerome R et al. “Selective Cervical Spine Radiography In Blunt Trauma: Methodology Of The National Emergency X-Radiography Utilization Study (NEXUS)”. Annals of Emergency Medicine 32.4 (1998): 461-469. Web. Adams, H. P. et al. “Classification Of Subtype Of Acute Ischemic Stroke. Definitions For Use In A Multicenter Clinical Trial. TOAST. Trial Of Org 10172 In Acute Stroke Treatment”. Stroke 24.1 (1993): 35-41. Web. 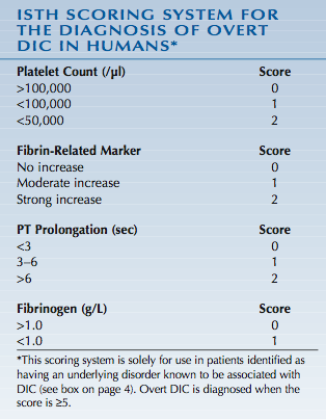 The table below shows the RIFLE (Risk Injury Failure Loss End stage) classification scheme for acute kidney injury. This system has a separate criteria for creatinine and urine output. If the patient’s condition falls under two different levels, then the worse classification should be used. RIFLE-FC = denotes ‘acute-on-chronic’ disease. Bersten, Andrew D, and Neil Soni. Oh’s Intensive Care Manual. London: Elsevier Health Sciences UK, 2013. Print. Marino, Paul L, and Kenneth M Sutin. The ICU Book. Philadelphia: Lippincott Williams & Wilkins, 2007. Print.